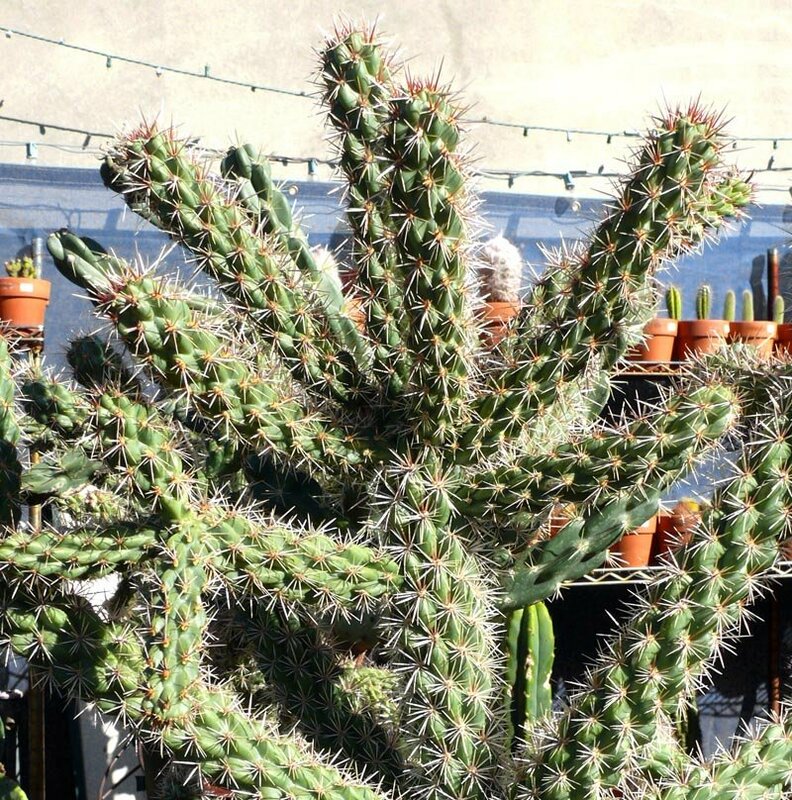 Compact, tree-like cholla to 6 feet tall and wide. Purple flowers. Grows in dry grasslands. The dried wood caness make for good long straight walking sticks. Red spines fade to grey as they age.